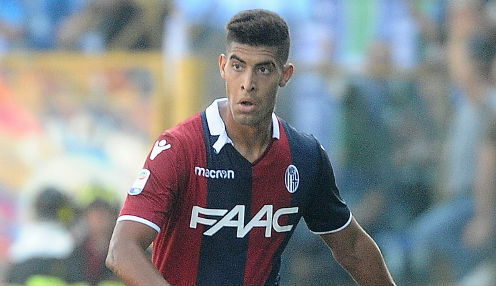 Adam Masina has admitted that it was a difficult decision to leave Bologna and sign a five-year deal with Watford. The 24-year-old left-back made 131 appearances for Bologna, including 99 in Serie A. He helped the club secure promotion from the second tier in Italy in 2014/15. He said: "I am a left-back. I like to run, to fight and to play with the ball, because the ball for me is important. "Bologna is my home and I had the honour to wear the Bologna shirt. After the promotion to Serie A I played three more seasons there. "It was a hard decision to leave because my heart is part red and blue. But now it's the right moment to leave my home. I'm here to help this team and to make the fans happy." Meanwhile, Romanian goalkeeper Costel Pantilimon has left the Hornets and signed for Championship side Nottingham Forest. The 31-year-old former Manchester City shot-stopper spent the second half of last season on loan at the City Ground, featuring 13 times for Forest, who are 750/1 to be promoted from the Championship in 2018/19. Pantilimon moved to Vicarage Road from Sunderland in January 2016 and made nine appearances for Watford, who are 1/16 to finish in the top half of the Premier League this season and 6/4 to beat Brighton on the opening weekend of the campaign.